Live streaming videos open up a new way to communicate and brands love it! A couple of months ago Twitter bought Periscope for an undefined amount of about $100 million. 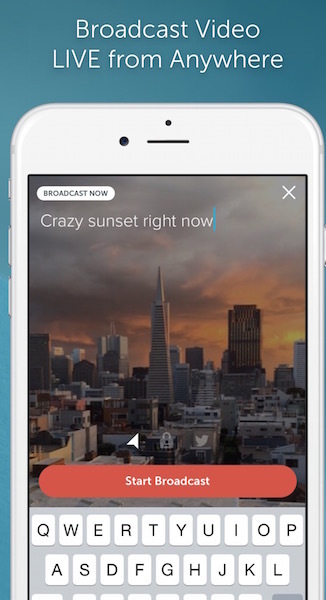 Periscope is a live broadcasting app which allows you to stream live video directly from your smartphone. People can follow you, as on Twitter, comments and like what you are watching with a “heart”. You can also share on Twitter what you are filming, so all your followers can join the live streaming. So if you see people on the streets filming, they are maybe not just recording a video but they are broadcasting in real-time to thousand people. I think that at this stage privacy is gone, or at least until someone will regulate this new trend. Periscope reached over 10 million users by August 2015 and every day 40 years of videos are watched on the app. Business Meetings: Yes, you can also engage a one-one streaming with a connection you already have. Of curse there are already many alternative apps you are more likely to use (Skype,GoToMeeting, JoinMe, HanfOuts) but it’s an option. Product reviews: You can organize a live presentation showcasing a new product and review it. Online magazine as TheNextWeb already tried to do it with smartphones and tech devices. Video-Blogging: You can “publish” a live blog post streaming your written content. It is like a dynamic blog post and people can interact with you asking questions and comments. Live-ads: Your marketing team can organize real-time branded content or ads. Here the imagination and creativity play an important role. So let’s say you are going to make a real time contest where you can give gifts and freebies to the winners. Periscope, and Meerkat as well, are giving us the power to be a media and to broadcast live and breaking news. This app can really change the way we watch tv and videos. I saw a tv show a couple of months ago, “Black Mirror”, a serie of stories where technology has exceeded the limit and has affected our own most intimate life. I suggest you to watch it, it’s very close to what it’s happening today. Another social media to handle? It is too early to say if Periscope and Meerkat will be the next big social media. This is the beginning and the hype of the moment might slow down with the time. But, if Twitter spent over $50 million to buy Periscope and Meerkat got over $12 million in funding to grow, these might be encouraging signals to consider. The best thing to do right now is to start exploring the apps and see how you can integrate it in your traditional social media and marketing strategy. What do you think about it? Are you using it just for fun or for your business? I’m starting using Periscope more often now, to stream news and updates. I used it also to talk about a new course I have launched with good results. You can follow me by the way 🙂 my name is Stefano Mongardi (or @SteMongardi). Your goal should be to grab a wide audience attention and create value. 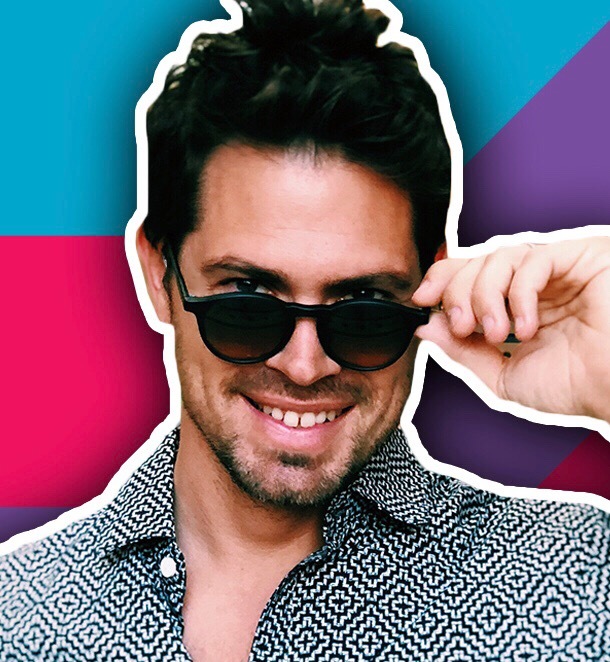 Today not a lot of people are using Periscope in a profitable and useful way, that’s why you need to create value and be memorable for people. That is the first step to be follow and nurture and audience. Also, Periscope is good when it comes to drive people to other social media or website. It worked for me. 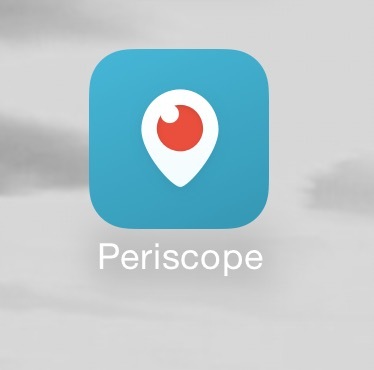 If you are going to use Periscope for business, be sure to show also your human side. 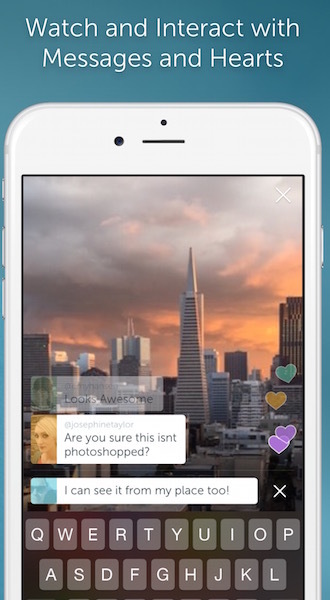 Users on Periscope want to see what is behind the scene of a person life. Don’t talk just about business and work, try to show also what you do during your free time. Here are some more few hacks you can use to boost your live videos engagement and attract new viewers. Share your video using the option “share link” swiping on the left of your screen once your live is ended: People have 24 hours to watch your video again before it will be delated. Just after your live streaming is ended, share it on other social media. Tweet your stream when you start filming: before to hit “start broadcast” be sure to tap on the Twitter icon you see on the screen. Doing that, all your Twitter followers will see your live in your Twitter’s newsfeed. Share your location when you start: I know that maybe you would like to keep some privacy, but sharing your location helps other people to find you easily when they explore videos on the “map” feature. Share your live videos: Another interesting thing to do is to share your videos on other media as soon as you start your live. How can you do that? You just need to have another person that share the link of your live for you on your social channels or other sources. Well I think that’s enough! I will write more blog posts about this cool new App! Be sure to follow me on Persicope, my name is Stefano Mongardi (or username: SteMongardi). How are you using Periscope? Do you like it? Let me know!